Reason 1 : Our staff are highly skilled. All our salon staff works full-time, and are fully trained before they join the outlet. They are only able to work with customers after acquiring high levels of skill. Reason 2 : We have the highest rate of customer satisfaction. Approximately half of our clients come to us by word of mouth. 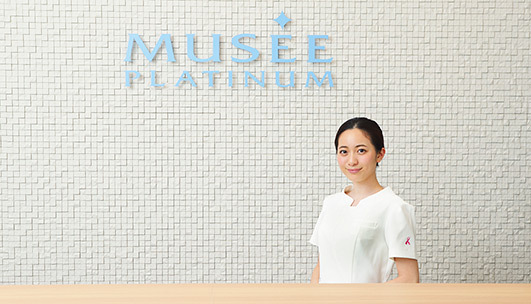 MUSEE has the highest rate of customer satisfaction. Approximately half of our clients come to us because they have been recommended by a friend. We are committed to ongoing improvements to our services in order to ensure that our clients trust us enough to continue recommending us. All our salons are under the same management, meaning that we can provide a consistent service in regard to our customer service and technology. 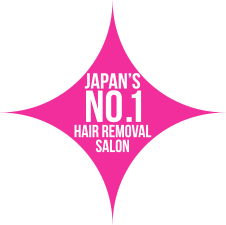 We provide high-quality hair removal to women from Japan throughout the world with reasonable cost. No extra charges, annual fees or other products. What you pay is what you get. If you're unsatisfied with your treatments, we will refund the remaining sessions with proper reason*. We only specialize in hair removal and won't push you into trying other courses like skin care. To discuss your needs and concerns before treatment. Our staff is well-trained in operating our equipment and treating customers with respect. Now there's a smarter way to stay hair-free and beautiful with MUSEE's S.S.C. hair removal. 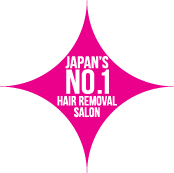 We keep prices low thanks to our network of 185 outlets in Japan with over 2.8 million satisfied customers, it's no wonder we're Japan's number 1 hair removal salon.